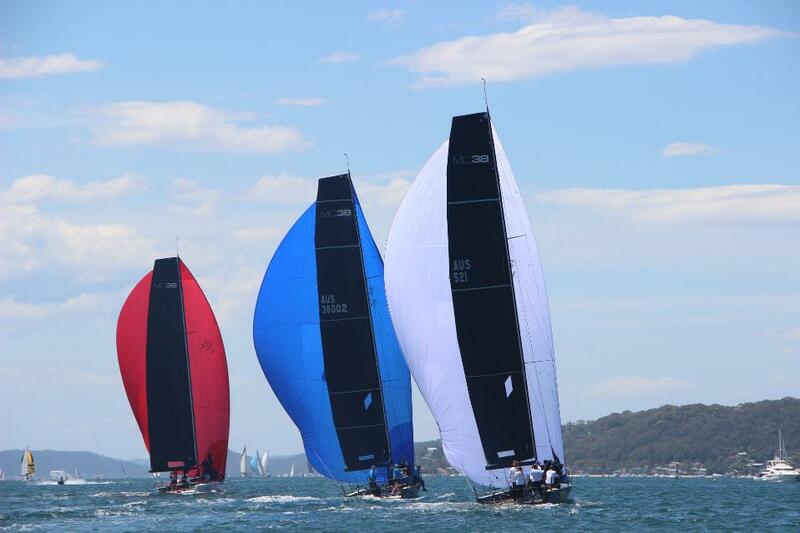 A tricky Pittwater shone, the MC38s sparkled and Neville Crichton’s Maserati cleaned-up the class’ closing seven-race Act 5 by a monumental 12 points, plus sealed the five-round season pointscore. 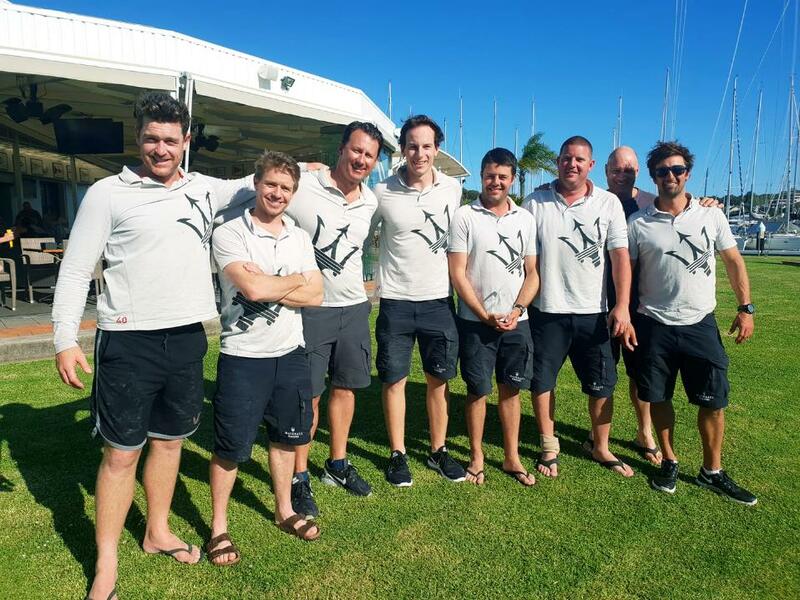 A frustrating stop-start beginning to day two of the MC38 2018 Season’s Act 5 included a general recall in light NE winds, a course reset to ENE then that race blown off by the Royal Prince Alfred Yacht Club’s race management team. The fleet then returned to the NE start line for the race five completion followed by a postponement and a relocation back to Morning Bay on Pittwater’s western shore for the easterlies that eventually locked in for races six and seven, and built nicely to 11-14 knots. All crews paused at 1100hrs in the start line vicinity for a minute’s silence marking Armistice Day, the idea of Ginger’s guest helmsman Martin Hill, the Etchells class’ latest world champion. Hill found himself in familiar company, his winning Etchells crewmate Julian Plante a regular strategist for long-time MC38 owner Leslie Green who was absent. Guest Maserati helmsman Tom Quick from the Farr 40 class, steering for owner Neville Crichton, and the key decision makers Ben Lamb, tactician Joe Turner and mainsheet Doug McGain, made sound choices picking the shortest path around the two-lap course to finish boat of the day, regatta victor and season champion. “This team was fantastic bringing in someone who hasn’t stepped on an MC38 before,” Quick acknowledged of his first-ever MC38 experience. “They are a very light boat, very responsive and weight dependent. I absolutely enjoyed it and the gusts are exciting. I’m pretty focused on the 40,” Quick added, smiling, in response to the obvious question on whether he’s considering buying into the exciting one design class. Ginger finished second overall in the Act 5 final standings and Steve Barlow’s Lightspeed placed third on a countback. 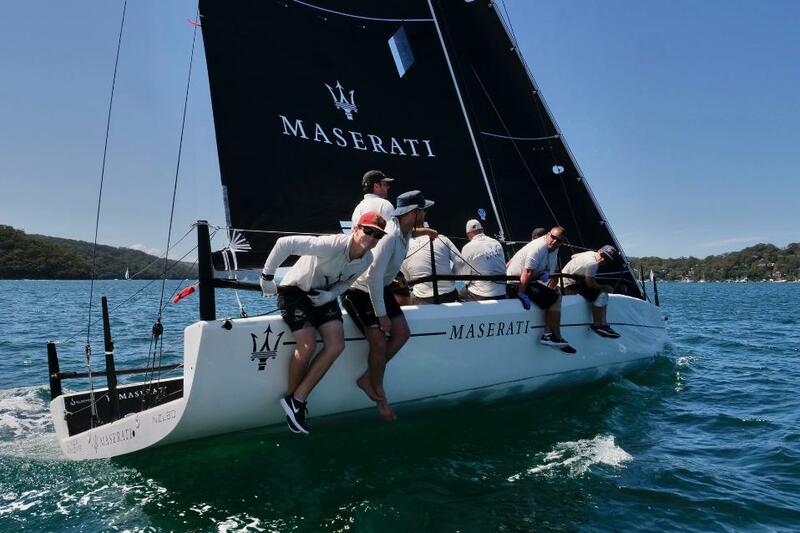 Best scored boat across the five acts spanning May to November 2018 and sailed between Pittwater and Sydney Harbour was Crichton’s Maserati. Marcus Blackmore’s Hooligan finished second overall and Ginger third. “It’s time on the water with a great crew,” Lane said back at the host club. “The armoury is coming in for the nationals; we are ramping up!” the skipper warned.